The YN900 and YN300 III LED photography/video lights from Yongnuo support wireless iPhone control of brightness and colour . The newest line of LED panels from Yongnuo support wireless smartphone control. The YN900, YN600L II and YN300 III panels, designed for stills and video production, all benefit from iOS apps. The respective apps, which you can download for free from the iTunes App Store, allow iPhone users to connect to their Yongnuo LED lamps via Bluetooth and adjust the colour and intensity from a simple control panel. 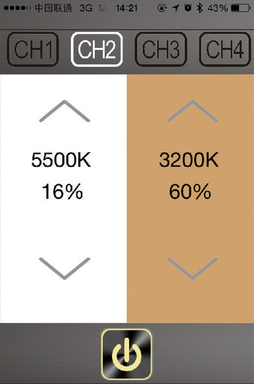 The brightness of the 3200K and 5500K-balanced diodes is controlled separately, so any intermediate colour temperature may be generated from the panel. It is also possible to switch the lamps off entirely. Up to four independent channels are supported, allowing complex lighting setups to be configured from one iPhone handset. As each model of light has a separate app, though, you will need to multi-task and switch between them while mixing several different Yongnuo LEDs in the same setup. If smartphone control does not appeal then all the lights also come with dedicated remote controls. 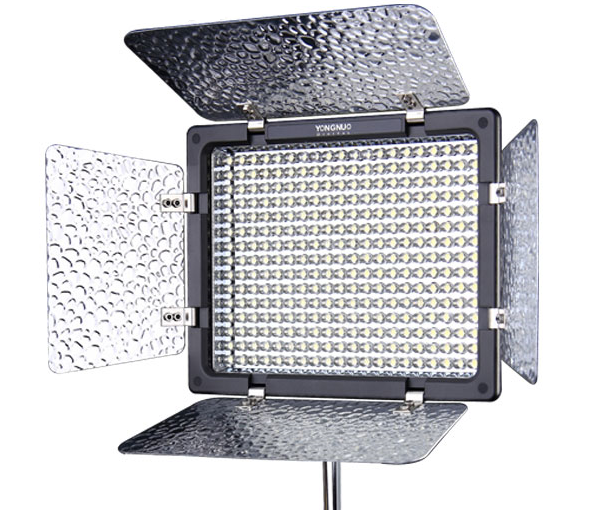 The YN300III and YN900 wireless LED panels from Yongnuo are available now for purchase online. The YN600L II is not yet on sale but you can find the older non-Bluetooth version, the YN600L, for about $130. The Yongnuo YN300 III is $69 and the Yongnuo YN900 is $185. For more information, visit the Yongnuo web site. The concept of controlling lighting from your smartphone or tablet is not new: in 2012 Rotolight released the Anova 2, the first world’s WiFi-controlled video light, and photographic lighting manufacturers such as Broncolor have started offering it in studio flash heads. Do you like the idea of smartphone control in your lighting gear? Which brand should offer it next? Share your thoughts below.